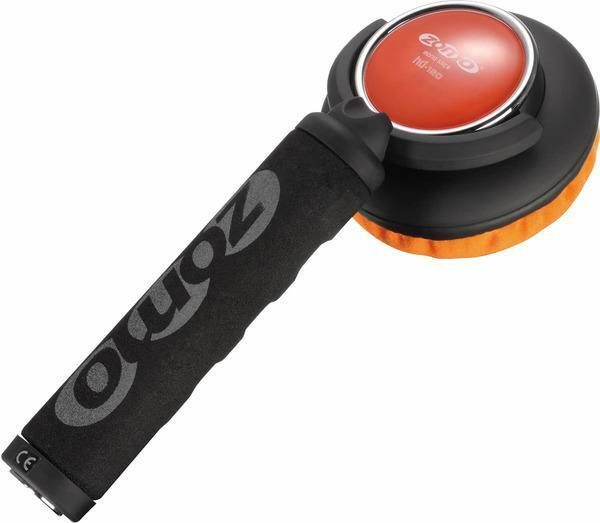 Product information "Zomo Mono-Stick HD-120"
The Zomo HD-120 Mono-Stick is the particularly cool version of the Zomo headphone series, which is particularly popular in club use and features a swivelling ear cup and an ergonomic handle. The detachable spiral cable has a very stable plug and can be changed in seconds. Particularly with this one-ear solution, it is important that the listener has enough pressure to be able to make the necessary volume even in extremely noisy environments such as discotheques. The kick-bass optimization mentioned above brings the desired effect. The high-quality workmanship and the brilliant design create an increased style factor, which is particularly noticeable in the club area. The high-quality materials and drivers guarantee a long-lasting and professional sound experience of the highest quality. Customer ratings for "Zomo Mono-Stick HD-120"
Now this Mono-Stick HD-120 will help me to make some magic on the mix! Echt gute Alternative zu normalen Kopfhörer. Für den normalen Gebrauch nicht wirklich empfehlenswert, aber für DJs z.B. echt gut. Der Preis geht in Ordnung & der Versand ist recht zügig. Bin von der Lieferung und vor allem von dem Produkt sehr begeistert !!!! Immer wieder gern!!! Kann diesen Mono Stick nur empfehlen. Preis/Leistung ist sehr gut. Qualität und Klang sind super. Das mitgelieferte Zubehör ist ebenfalls sehr üppig. wer keine lust auf normale kopfhörer hat, wird hiermit zufrieden sein. sehr praktischer kopfhörer stick für djs wie mich, die kopfhörer als störend empfinden aber trotzdem irgendwie vorhören müssen. Good sound and good build quality. I recommend it to every one searching a mono-stick headphone for a fantastic price-qulity ratio. Nonostante avessi verificato le caratteristiche tecniche, lho comprata con un pò di scetticismo... Lho testata nel weekend e sono rimasto piacevolmente sorpreso! Robusta, leggera, ottima potenza e qualità audio, finiture pari a modelli nettamente più costosi e dal marchio più blasonato. Spedizione un pà lenta, 1 settimana per litalia. Prodotto consigliatissimo!